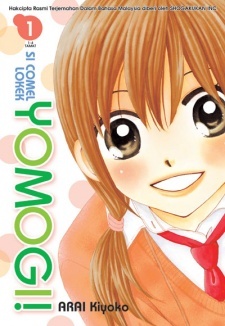 Yomogi, is a high school freshman who sees her friends falling in love, but she prefers money over boys. Okay,the reason why I finally wrote a review is because this is the first manga that make me felt like tearing the book. Oh,wait.It isn't a bad story.It actually a really GOOD story. The reason I felt like that is because I really worship a certain pairing in this manga...and when they couldn't be together,I felt REALLY disappointed. Yes,I really indulged to this manga,so indulged that I want to tear the book apart,but well, who can pay me back my 9.51474 U.S. dollars ?